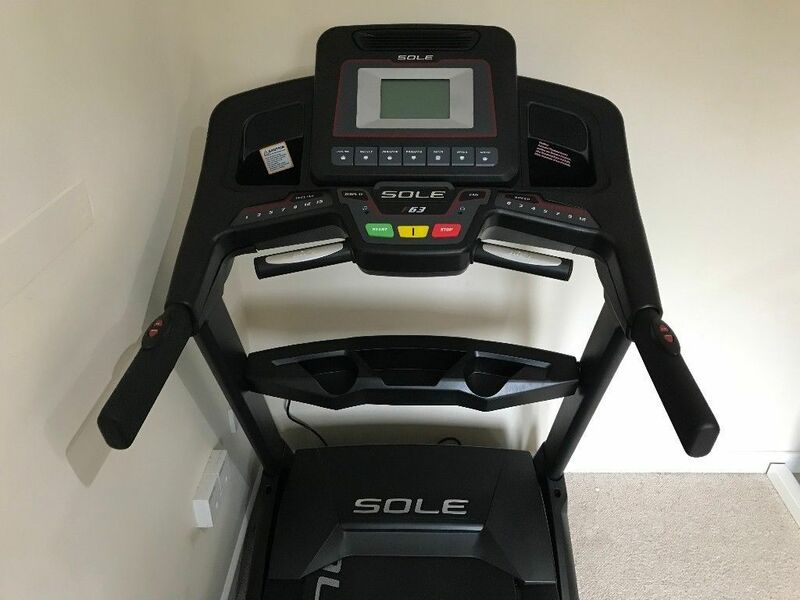 If you are looking for an affordable yet reliable treadmill, you may be interested in NordicTrack C990 vs Sole F63. They are entry-level models from renowned manufacturers. Unsurprisingly, they come with some similarities, mostly standard features expected from treadmills in this price range. However, there are also several distinctive differences that may make you prefer one model over the other. First of all, let’s take a look at the dimensions of these treadmills. Make sure that the product that you choose will fit in your room. This is an important factor to consider if you have a very limited space availability. Choosing a foldable model can be a great solution to free some space when the treadmill is not in use. See also: Lifespan TR1200I vs Sole F63. NordicTrack C990 is slightly taller, but generally a bit smaller than the other model here. It measures 60.3 inches tall, 79.5 inches long, and 35.5 inches wide. The weight is about 245 pounds. Note that the treadmill has a foldable design. You can lift the running deck up, and the telescoping EasyLift shock will reduce the effort required to fold the machine up. This is really convenient. Sole F63 is shorter, but the running deck is slightly longer. This model measures 57 inches tall, 82 inches long, and 35 inches wide. It also a little bit heavier at 254 pounds. So, this model will eat up more space, and it will be slightly more difficult to move around. Nevertheless, it also has a foldable design. The Easy Assist folding mechanism will help you lift up the running deck without much effort. Both models have similar running surface dimensions. Each treadmill here has a running surface which measures 60 inches long and 20 inches wide. This is a standard size which should fit most people. It is not too large or too small. NordicTrack C990 has a pair of handlebars with guards, but the guards may stand in the way of your fingers and aren’t necessary. Sole F63 has a pair of simple handlebars that are efficient to serve the purpose. A notable difference between NordicTrack C990 vs Sole F63 is about the user interface. They both come with standard alphanumeric display screens. Both also have built-in speakers for playing music while you are running. However, NordicTrack C990 has a larger display and generally better user interface compared to Sole F63. On NordicTrack C990, you can find a 7-inch backlit LED console which is very easy to read in any light condition. You can get a full view of the display from practically any angle. It will show essential information such as the speed, distance, time, calories burned, and heart rate. There is also the RaceTrack digital display which will help to visualize your progress. Although it isn’t a full-color touchscreen like other NordicTrack models, it is already effective and efficient. In addition, there is a tablet bracket located just above the console. So, you can put your tablet here in order to use a third-party fitness app or watch a YouTube video while exercising. If you have a tablet, this is a very useful feature that can make up for the lack of a color display. People who track their fitness progress using third-party fitness apps will find the tablet bracket very handy. On Sole F63, there is just a 6.50-inch LCD screen. It looks plain and basic. At least, it can serve its purpose well. You can get essential information such as the speed, distance, time, calories, and pulse. The size is rather small, so it is not as easy to read. There is no tablet bracket on the console. Instead, an optional stand for holding a tablet is included. However, this stand is designed to be set up in front of the treadmill. As the effect, it will eat up more space in your room. 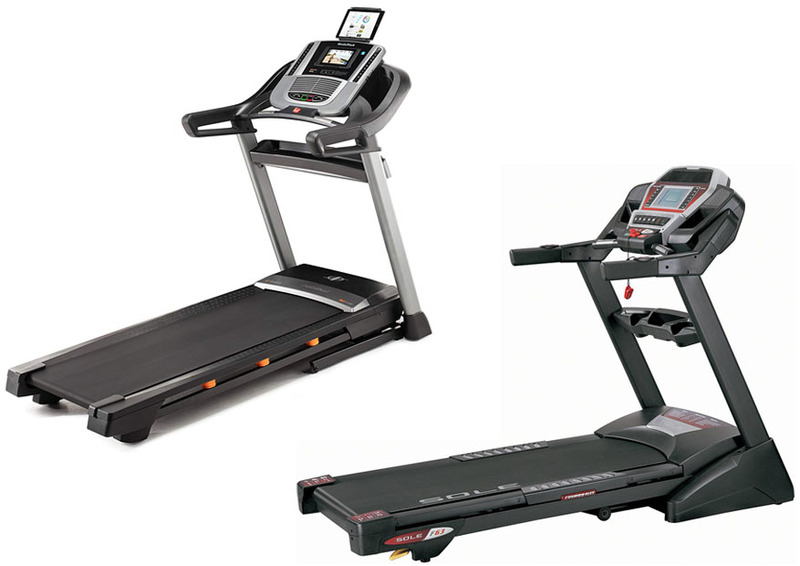 In terms of durability, NordicTrack C990 vs Sole F63 treadmills are generally good. Both models come with solid and sturdy frames. They feel really solid and durable. There is virtually no way for the frames to break apart. Each model here is equipped with a two-ply non-stretch belt on the running surface. Their belts should be durable enough to last for multiple years. NordicTrack C990 comes with the adjustable FlexSelect cushioning system. On the sides, you can find orange knobs for adjusting the cushioning. A half turn will activate the cushioning for a soft and comfortable experience which is suitable for people with joint pain, whereas another half turn will turn the running surface firm to mimic the feel of running on a solid road. NordicTrack C990 is rated to be suitable for a user of up to 300 lbs. Sole F63, on the other hand, is equipped with a one-inch phenolic deck. It is a shock-absorbing system which dramatically reduces the impacts to your feet. This is great for people with pain issues. However, the cushioning is not adjustable. In other words, you can’t increase the firmness of the cushioning to mimic a solid road. So, this is not suitable for people who want to simulate real running. Sole F63 has a maximum user weight limit of 325 lbs. There are several differences in the running features of NordicTrack C990 vs Sole F63. They are similar that they each come with a 3.0-CHP motor, which is quite powerful and reliable. They both can provide running speeds up to 12 mph, suitable for beginners and those who just want to stay fit without going to the gym. NordicTrack C990 is a bit more limited in terms of incline range. It can only provide a maximum incline of 12%. This is not bad at all for beginners and casual runners, but people with higher goals may want a treadmill with higher incline levels for more challenge. One cool feature of NordicTrack C990 is that it is iFit-enabled. So, you don’t need any additional module in order to use the app. By using iFit, you can maximize your training with various options. You can get daily workouts, run on any virtual location from around the world, record your stats, and compete with friends. 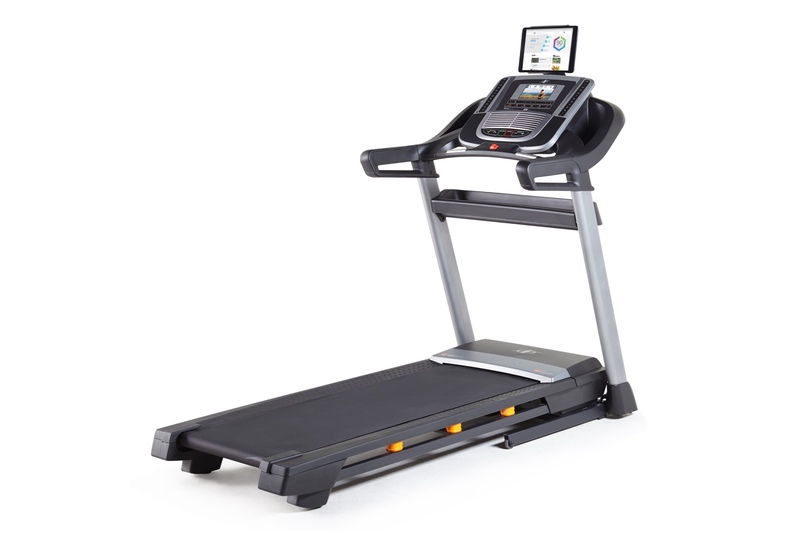 There are 32 built-in programs designed by certified trainers in NordicTrack C990. There are different programs for multiple purposes, such as heart rate control, speed workout, incline training, and calorie burning. So, this treadmill is already versatile right out of the box. Sole F63 has a maximum incline level of 15%. So, it can provide more challenge for people who want to face higher incline levels. However, since the maximum speed is still the same, it won’t be really useful for enthusiasts and professional runners. Sole F63 doesn’t have the iFit app. There are just 6 standard programs and 2 user-defined programs in Sole F63. The preloaded programs are mostly for speed and incline training and calorie burning. Unfortunately, it doesn’t have any heart rate training. You can create custom workouts by using the user-defined programs, though. Both NordicTrack C990 and Sole F63 have Bluetooth. You can connect a Bluetooth-based heart rate sensor to either machine. You may use a pulse grip sensor or a chest strap sensor. In general, chest strap sensors are better because they are more accurate in measuring heart rate. However, neither model comes with the chest strap sensor. So, if you want to use one, you need to purchase it separately. To ensure the compatibility, you may need to purchase the accessory from the same brand. Last but not least, let’s check the warranty that comes with each treadmill model here. The last thing that you want to happen after purchasing a treadmill is getting a defective product without being able to claim for a warranty. So, always check the warranty policy before spending your money. NordicTrack C990 comes with a lifetime warranty for the motor and frame, which is great. You don’t need to worry about the durability and longevity of the motor and frame. However, the parts are only warrantied for three years, while more expensive NordicTrack models can come with a five-year parts warranty. Nevertheless, there is also one year of free labor included for each purchase. Sole F63 also comes with a lifetime warranty for the motor and frame. Similarly, the parts warranty goes for three years. Apparently, most entry-level models only cover their parts for so many years. The labor warranty goes for one year as well. All in all, NordicTrack C990 is generally more recommended. It can give a better value, thanks to the impressive feature set. The user interface is better, and there is an integrated tablet bracket that won’t eat up space. The deck cushioning is adjustable. It is iFit-enabled, too. It comes with 32 built-in programs which can be really useful for various purposes.